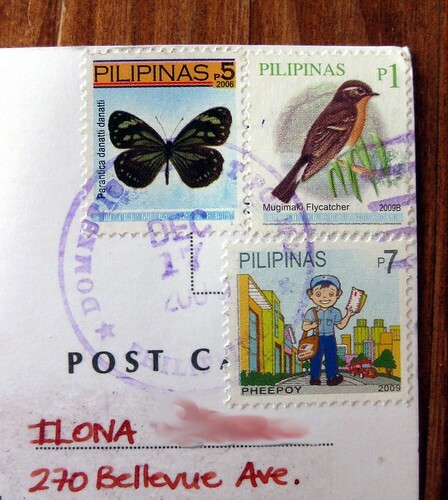 I exchange postcards occasionally with The Archer in the Philippines, but it ends up being very occasionally, as her postcards arrive incredibly slowly. I don't know which end has the sluggishness, but it's often rather amazing. 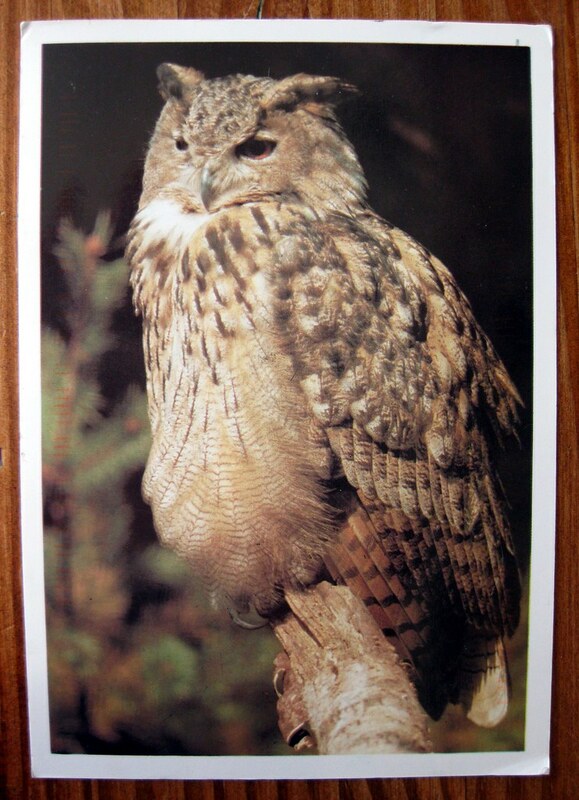 I had one sent in August arrive in October, and this lovely Philippine owl sent in December arrived in March! 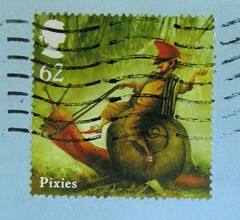 Check out these incredible stamps, though - I am in love with the cartoon mailman! Im in love with the cartoon mailman as well . totally cool and love owls too so that would be totally awesome to receive to me as well . I knew you'd love that stamp! :) Glad you got the card! Archer - I'll have to double-check my letter log for a date, but since I photographed the postcard, I know I responded to it - I wonder if my reply has reached you yet! Yes, the cartoon mailman is WONDERFUL! Lucky you! Just a short note: I tagged you at my blog :)! Fabi, I'm flattered to be tagged, but I will bow out as the tag thing is not my cup of tea.